Learn about Los Angeles tattoo history, from the Pike, to Pachucos, to the Prison systems, old East LA and into today. 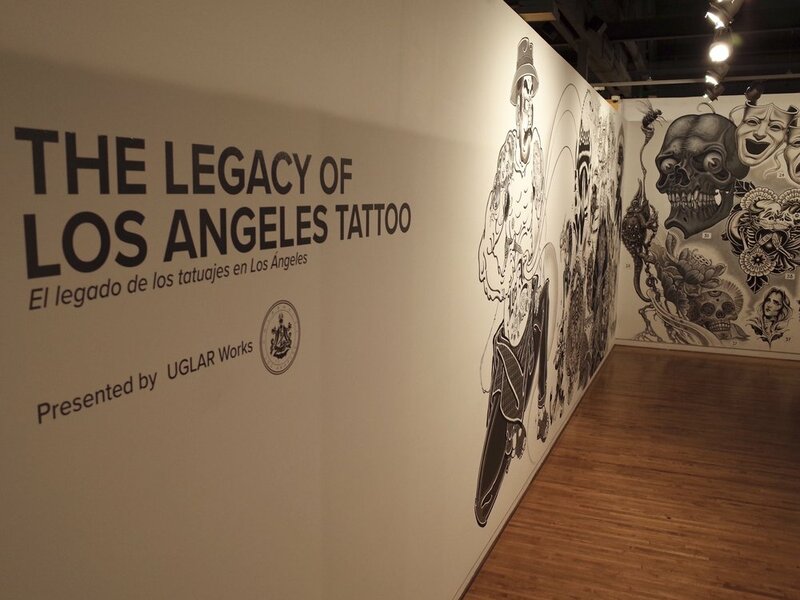 Stories of struggle and adversity translated onto the skin through photos, original paintings, acetates, and live tattoo performances in the museum’s “tattoo shop.” Organized by Christopher Brand and Evan Skrederstu, the “tattoo shop” area titled The Legacy of Los Angeles Tattoo is a site-specific mural surrounded by the collaborative work of over 40 tattooers ranging from the deceased masters to living and legendary, to generations on down, who have influenced the industry locally and worldwide. Madagascar is an island nation off the southeast coast of Africa that is home to thousands of animal species found nowhere else on earth. For this reason, it has been nicknamed the 8th Continent. In fact, an astonishing 90% of its flora & fauna can only be found on the island, making the gradual loss of its indigenous species truly a global loss. On October 1st in Downtown Los Angeles, a unique art show will celebrate the beauty of Madagascar & its fauna while raising money for their protection. With the help of reptile expert Daniel Solis, Bill Strand of the Chameleon Breeder Podcast, chameleon breeders Kammerflage Creations, nature photographer Andrea Pico Estrada and a select group of contemporary artists, art and science will collide in a whole new way. Attendees will be able to view live Madagascar-native animals up close in zoo-quality environments, as well as participate in an art auction featuring pieces inspired by those very same animals. It will truly be a one-of-a-kind experience. Please note: 30% of profits will be donated to Madagascar conservation efforts. Light refreshments provided. Evan Skrederstu, UGLAR Works, Chris Brand, Espi, Steve Martinez, Rob Sato, Chuey Quintanar, Antonio Mejia, Alex Nunez, Ako Castuera, Michael Alvarez, Andrea Pico Estrada, Jose A. Lopez, Ricardo Estrada and Ryan Gattis. Photograph live Madagascar-native animals; Lemur, Chameleons and more. High end original artwork; paintings, sculptures and photography. All photos by Sick One. Big thanks to MCLA and everyone who came out to see us at the LA Art Show this year! The Japanese American National Museum in Los Angeles's successful art exhibit—Perseverance: Japanese Tattoo Tradition in a Modern World—continues to travel around the country. Located in Delray Beach, Florida, the Morikami Museum and Japanese Gardens is the latest institution to offer the unique opportunity to view this beautiful collection of photographs. Features the work of Chris Brand, Evan Skrederstu and Espi. If you're in Florida, go and see it before it leaves. On exhibit from February 26 — May 8, 2016. "This exhibition explores the artistry of traditional Japanese tattoos along with its rich history and influence on modern tattoo practices. Perseverance underscores Japanese tattooing as an art form by acknowledging its roots in ukiyo-e prints and examining current practices and offshoots of Japanese tattooing in the U.S. and Japan. As Japanese tattoos have moved into the mainstream, the artistry and legacy of Japanese tattooing remain both enigmatic and misunderstood. Often copied by practitioners and aficionados in the West without regard to its rich history, symbolism, or tradition, the Japanese tattoo as a form of art is commonly reduced to a visual or exotic caricature. Conversely, mainstream Japanese culture still dismisses the subject itself as underground, associating it more with some of its clientele than with the artists practicing it. Both of these mindsets ignore the vast artistry and rich history of the practice. Although tattooing is largely seen as an underground activity in Japan, Japanese tattoo artists have pursued their passions, applied their skills, and have risen to become internationally acclaimed artists. Through the endurance and dedication of these tattoo artists, Japanese tattooing as a genre of art has persevered, and is now internationally renowned for its artistry, lineage, historical symbolism, and skill. Perseverance features the work of seven internationally acclaimed tattoo artists, Ryudaibori (formerly Horitaka), Horitomo, Chris Horishiki Brand, Miyazo, Shige, Junii, and Yokohama Horiken, along with tattoo works by selected others. Through the display of a variety of photographs, including life-sized pictures of full body tattoos, these artists cover a broad spectrum of the current world of Japanese tattooing." "Organized by the Japanese American National Museum in Los Angeles, Japanese Tattoo: Perseverance, Art, and Tradition focuses on the work of seven internationally acclaimed tattoo artists –Ryudaibori (formerly Horitaka), Horitomo, Chris Horishiki Brand, Miyazo, Shige, Junii, and Yokohama Horiken – inspired by the Japanese tradition of tattooing and heavily influenced by the traditional Japanese arts of calligraphy and ukiyo-e woodblock printmaking. Specially commissioned photographs of work by each artist will be displayed alongside tools and relief carvings, as well as a recreated Torii. A companion book of the same title features additional photographs and writings, and is published by the Japanese American National Museum. Japanese Tattoo: Perseverance, Art, and Tradition is created, designed and photographed by Kip Fulbeck, and curated by Takahiro Kitamura (Ryudaibori, formerly Horitaka)." UGLARworks' Evan Skrederstu will be participating in upcoming 2016 LA Art Show panel discussion entitled Mural Renaissance in DTLA: Challenges of Expression and Legacy. The talk is taking place on Saturday, January 30, 2016, at 3PM. Please visit the LA Art Show website for more information, or read the official press release below (courtesy of MCLA). The Mural Conservancy of Los Angeles (MCLA), sponsored by the 2016 Los Angeles Art Show (LAAS), is proud to present the exhibition From the Streets to Canvas. Curated by MCLA’s executive director, Isabel Rojas-Williams, this exhibition will showcase pioneer and contemporary artists and will run for the duration of the 2016 LAAS (January 27th-31st, 2016) at the Convention Center. Most people agree that quality public art is desirable. But after the unveiling and the party, art in public spaces can take on a life of its own. Economics, cultural history, and changing neighborhoods are among the factors that move public art past the original intent of the artist. This exhibit will showcase the historical and cultural evolution of some of Los Angeles’ notable and changing pieces of art displayed in public. 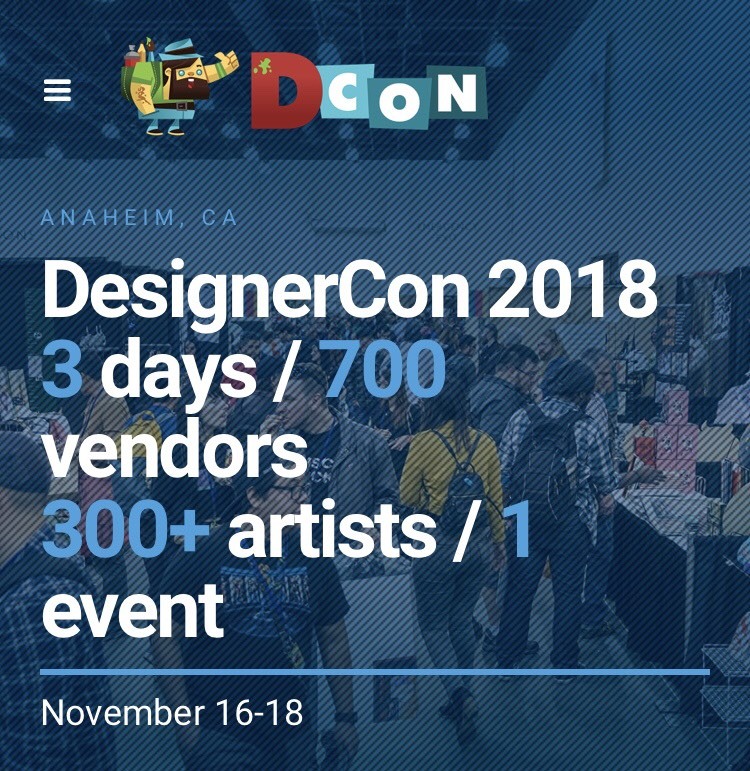 Embracing LA’s visual art culture, this exhibit will include, among others, Carlos Almaraz, Christopher Brand, Espi, Ignacio Gomez, Willie Herrón III, Steve Martinez, MEAR ONE, Art Mortimer, Gilbert Ortiz, Frank Romero, Shizu Saldamando, Evan Skrederstu, and John Valadez. Live painting will be by UGLARworks (Unified Group of Los Angeles Residents) led by pioneer muralist Willie Herrón III. The exhibition, inspired by LA’s mural culture, will connect the street and the canvas. In conjunction, MCLA will also present a panel discussion, Mural Renaissance in DTLA: Challenges of Expression and Legacy, moderated by Isabel Rojas-Williams, on Saturday January 30th, 2016 at 3 pm at the Convention Center. Los Angeles, particularly in Downtown, is undergoing a renaissance of culture and public art. The vibrant underground scene of the 1980s, when local artists gathered for impromptu art installations, theater, music, readings, and blowout parties planted the seeds for the convergence of fringe and traditional culture now in full swing. DTLA is a thriving place where cafes, boutiques, and restaurants open at an incredible pace. From the Broad Museum, Walt Disney Concert Hall and MOCA on Grand Avenue to revival of Broadway and the Historic Core, DTLA is coming together as the cultural rival to New York as the place to be. The Historic Core is home to incredible murals, dozens of galleries and the Art Walk since 2004. South Park has experienced a tremendous transformation in the last decade. All of this is happening amid the Open-Air Mural Museums that passersby encounter on nearly every corner of DTLA. Murals serve as a liaison among the different neighborhoods, and they create a narrative point of reference over the years. And as that narrative expands, so does the opportunity and responsibility of understanding and preservation. Los Angeles has learned that historic works of public art can show up wherever the desire for great expression manifests itself. The 2013 Mural Ordinance has opened up avenues for expression – both “legal” and “illegal” -- and set the stage for the iconic works of the future. Yet the current renaissance of public art arises at the time social media like Facebook and Instagram both bring awareness to the ephemeral nature of public art and sometimes even glorify it. Is a continuity of public art narrative possible or even desirable any longer? Has gentrification made contemporary street artists “sell outs”? Embracing Los Angeles’ cultural vibrancy and preservation, and in conjunction with our exhibition From the Streets to Canvas, The Mural Conservancy of Los Angeles (MCLA) is presenting Mural Renaissance in DTLA: Challenges of Expression and Legacy, a panel discussion, at the prestigious 2016 Los Angeles Art Show (LAAS) on Saturday, January 30th (3 p.m.) Among our panelists: Renowned muralist Kent Twitchell, MCLA’s Board president, attorney Eric Bjorgum (Karish & Bjorgum PC), Jessica Lall (South Park BID, executive director), Mear One (artist), muralist Evan Skrederstu, and Tanner Blackman (Kindel Gagan Public Affairs Consulting). "Street Art has had a coming of age in Los Angeles. Part of the urban landscape since the 1920s street art has evolved to include: murals, stenciled works, prints and traditional graffiti. Today it has become one of the cores of contemporary art. From the Streets to Canvas is a celebration of Los Angeles’ visual art culture, Inspired by the city’s mural culture, the exhibition features works by Carlos Almaraz, Christopher Brand, Espi, Ignacio Gomez, Willie Herrón III, Steve Martinez, MEAR ONE, Art Mortimer, Gilbert Ortiz, Frank Romero, Shizu Saldamando, Evan Skrederstu, and John Valadez–each of which connect the street and the canvas. From the Streets to Canvas, an exhibition curated by Isabel Rojas-Williams, showcases the historical and cultural evolution of some of Los Angeles’ notable and changing pieces of art in the most public of forums–the street. However, after the unveiling and the party, art in public spaces takes on a life of its own. Economics, cultural history, and changing neighborhoods are among the factors that move public art past the original intent of the artist. This exhibition, and the accompanying lecture Mural Renaissance in DTLA: Challenges of Expression and Legacy will address some of the economics and preservation of this compelling art." A photographic exhibition by Kip Fulbeck, exploring the artistry and master craftsmanship of traditional Japanese tattooing. Curated by Takahiro Kitamura, the exhibition features the work of seven internationally acclaimed Japanese tattooers Chris Brand, Horitaka, Horitomo, Miyazo,Shige, Junko Shimada, and Yokohama Horiken as shown in life-sized photographs by Fulbeck. Revered as an art form worldwide for centuries, the Japanese tattoo has a long and tumultuous history with the country of its origin. Tattooing and tattooed individuals have been persecuted and stigmatized throughout Japan—including prohibitions on public display, work requirements specifying tattoo coverage (or the complete absence of tattoos), even the outlawing of the practice itself. Many of these bans are still in effect today. Despite this negative public pressure and government repression, the Japanese tattoo tradition has not only persevered, it has thrived. Now practiced in various forms throughout the world, traditional Japanese Tattooing is internationally renowned for its artistry, lineage, historical symbolism, and skill. PERSEVERANCE will investigate and showcase the breathtaking artistry of the Japanese Tattoo through the works of over 30 of the world’s leading contemporary tattoo artists. The exhibition will also include Don Ed Hardy, Colin Horisou Baker, Stan Corona, Espi, Chris Garver, Jeff Gogue, Regino Gonzales, Jill Horiyuki Halpin, Tim Hendricks, Horikazu 4, Horikiku, Horitoshi Family Horizakura, Timothy Hoyer, Jakoh, Henning Jorgensen, Brian Kaneko, Robert Klem, Chad Koeplinger, Adrian Lee, L.A. Horitaka, Lil’ Tokyo Jiro, Sulu’ape Steve Looney, Chris O’Donnell, Chuey Quintanar, Kahlil Rintye, Stewart Robson, Mike Rubendall, Evan Skrederstu, Small Paul, Luke Stewart, The Grime, Tomo, and Dan Wysuph. For press inquiries, contact mediarelations@janm.org or (213) 625-0414. In Paris it’s the Seine. In New York it’s the Hudson. And here in the Los Angeles Basin it’s, well, a concrete channel unceremoniously called the Los Angeles River. “The Ulysses Guide to the Los Angeles River,” inspired by Ulysses L. Zemanova’s 2005 book of the same name, offers visitors (whose main contact with the river is likely through their windshields) a detailed look at the waterway’s flora, fauna and cultural identity as seen through the eyes of 25 or so local artists. There’s sculpture, photography, pen and ink, watercolor, oils, mixed media and, as you’d expect, a preponderance of graffiti—some of which dates back to hobo etchings from 1914. No wonder the show’s curators, Christopher Brand, Evan Skrederstu and Steve Martinez, are all graffiti artists in their 30s who’ve logged many hours in the city’s circulatory system. The same is true for 60-year-old Mr. Bojórquez. Once a free-flowing alluvial river, El Río de Nuestra Señora La Reina de Los Ángeles de Porciúncula—so named by Gaspar de Portolà during his 1769 expedition of Alta California—was originally the main nutrition and water source for the Gabrielino Indians. With its stands of oak trees, small fish and mammals, the tributary helped sustain the 50 or so villages near its banks in what’s now the San Fernando Valley and Glendale. After the Spanish arrived, the river continued as the region’s main water supply, though its path was unpredictable. Floods in the 1800s diverted its course to its current location, running from Canoga Park due south just east of the city before spilling out into San Pedro Bay. But it was a catastrophic flood in 1938 that led to the Army Corps’ project to pave its banks with concrete. The 20-year undertaking used three million barrels of concrete, inadvertently creating the city’s largest graffiti canvas. “Involved” is the key, for the curators’ main goal is not just to re-create the river (achieved with video footage of flowing water, live plants and a soundscape of all the ambient noise) but also to inspire residents of Tinseltown to actually check it out. But if descending into the bowels of Los Angeles is not your thing, you’ll definitely want to gaze at “River/Tropical,” an oil-on-board painting done by Mr. Skrederstu. The 13-by-42-inch portrait/landscape contains many of the channel’s elements both real and imagined. Though the concrete banks, the aging hippie/bum surrounded by pigeons, an old transistor radio, and a cooking pot nearby are sights you might come across, not so the azure water, gorilla (or is it a mammoth?) and way in the distance a few moai—the stone carvings from Easter Island in Chile. Just to the work’s left is Messrs. Skrederstu and Martinez’s big 78-by-72-inch acrylic “Survivors of the Massacre (48),” featuring a realistic-looking, battered stuffed animal with a grasshopper sitting on its head. Those craving something more sedate might prefer “Ol’ School Calvera Peacock,” a 2007 ink-on-paper image lyrically sketched by Jack “From-Way-Back” Rudy. For the scientist, there’s an enlarged pill bug, created by Dennis Kunkel, known for his scanning electron micrographs. So what happens if their concrete canvas gets removed or made blank once again? A nonprofit group, Friends of Los Angeles River (FoLAR), has been working since 1986 to restore the waterway to a more natural state, without much progress. But the Army Corps, thanks to $800,000 in stimulus funds, has many gallons of beige paint at the ready. Note: © The Wall Street Journal & Arnie Cooper. Read the original article here. An exhibition in Pasadena examines works inspired by and created in the concrete trough. One of Chaz Bojórquez’s fondest childhood memories is of climbing down into the L.A. River basin around Highland Park, running and sliding in 2 inches of water enclosed in a moss-covered tunnel — his “Tom Sawyer swimming pool,” as he called it. For Bojórquez and other L.A. artists, it was a place for childhood adventures, an escape from the city and inspiration for creating art. A collection of work inspired by the waterway has been captured at “The Ulysses Guide to the Los Angeles River” at the Pasadena Museum of California Art through July 4. The art includes a peacock sketch by tattoo artist Jack Rudy, Dennis Kunkel’s microscopic images of a pill bug and Evan Skrederstu’s oil painting “River Tropical,” an island fantasy of a hammocked hippie relaxing along the shore. Bojórquez, considered one of L.A.’s first graffiti artists and the oldest in show at 61, briefly attended Chouinard Art Institute (now known as CalArts). His work has been featured at the Smithsonian and LACMA. “I found my cultural identity in the river,” said Bojórquez, who first discovered its beauty and nature walking in the middle of the night to hide from the police. “The broken bottles sparkling in the light of the moon and the sound of the water and speeding cars was very romantic,” Bojórquez recalled. In the early 20th century, floods wreaked havoc on the city, so in 1938 the Army Corps of Engineers began paving over the river. Detractors believed the transformation created a different kind of havoc as a playground for gangs, delinquents and the homeless. For research, Steve Martinez and fellow artists and curators Skrederstu and Christopher D. Brand hiked the 51 miles of the river bed, which stretches from Canoga Park through downtown and ends in Long Beach. Except for a few run-ins with seedy survivalists and coyotes, they encountered exotic fauna, insects, reptiles and egrets. The endless white space provided a huge canvas for anyone enticed to venture into the depths and express their creativity. “There were some beautiful murals down there from 15 to 20 years ago we were able to capture before they painted them over,” said Martinez, referring to a project by the city to rid the river walls and embankments of gang tags. The exhibition, based on a book of the same name, re-creates the experience of being in the river with trash, plants, exposed concrete, birds’ nests and green muck integrated along the gallery floor, ceiling and corners with a piped-in soundscape of running water, traffic and birds. Note: Text © L.A. Times & Liesl Bradner. The original article can be found here. For artists, everything has potential to be a canvas. Freeway walls can become murals, sidewalks make great chalk easels and even cars have been known to get artified with clever use of paint and blingy ornamentation. But bugs? Big creepy-crawly bugs? Why not, say local insect-loving artists Chris Brand and Evan Skrederstu, who for three years have been transforming the backs of dead roaches, spiders and mantises into miniature decorative masterpieces. Think of them as the Picasso and Cezanne of the bug painting world — a rather small kingdom, to be sure. Brand and Skrederstu will be showing off their painted bug creations at this year’s Bug Fair taking place Saturday and Sunday at the Natural History Museum. Included will be a walking leaf adorned with delicate chrysanthemums, a weevil exotically trimmed with the Taj Mahal and a portrait of a somewhat stunned Alfred Hitchcock painted on the back of a large beetle. “So many people think we use a magnifier when we paint, but we don’t,” says Skrederstu, a scenic painter who got the idea for bug painting when he and Brand — a tattoo artist — were painting a mural near downtown and accidentally sprayed a little bug blue. “We said, ‘Hey, we’ve painted just about everything we could, why not bugs?’ ” explains Skrederstu, who with Brand has always collected and enjoyed insects. Note: Text © The Los Angeles Times & Brenda Rees. The original article can be found here. From LALA Gallery Press Release: “We are thrilled to announce the opening of our second show, PUBLIC WORKS, on Friday, August 3, at 7:00 pm. This groundbreaking two-part exhibit, a collaboration with LA Freewalls and MacDonald Media to benefit Art Share LA, features murals by renowned contemporary artists in one of public media’s most controversial spaces – the billboard. Contributing artists include How & Nosm, Insa, Push, Revok, Risk, Ron English, Seen, Shepard Fairey, Trustocorp, WCA Crew, Uglar, and Zes.